The inventor of the storage array, EMC, has indicated that a hardware-designed architecture is perhaps no longer the best solution for hosting a virtualized datacenter. The Register reported today that EMC will utilize ScaleIO as a VMware kernel module. Cisco: Maxta. Cisco also has invested in Stratoscale. Despite their dependency upon legacy 3-tier infrastructure for tens of billions in revenues, these datacenter giants recognize the necessity of joining the hyper-converged revolution. The threat of public cloud combined with much faster access to information is resulting in an astounding pace of its adoption. Back in the aughts, we had to contend with the server huggers who staunchly refused to believe that their applications could run as well, let alone better, as virtual machines. But the financial and other advantages were too compelling to resist, and datacenters are now approaching an 80% virtualization rate. Today, server huggers have been replaced by SAN huggers. These are the folks who insist that it is preferable to move flash and disk away from the compute and put them into proprietary arrays that must be accessed across the network. Never mind the issues around complexity, performance, resiliency, time-to-market and cost. But just as virtualization provided an enormous opportunity for forward-thinking channel partners last decade, Web-scale has even more potential over the next several years. The key is introducing the concept in a way that will resonate with customers steeped in years of 3-tier infrastructure tradition. It is natural for technologists, including channel partners, to jump into speeds and feeds and attributes and deficiencies. But I suggest taking a different tact. Help customers see a bigger picture, and consequently adopt a more strategic approach, with the aid of financial modeling. IT leaders are realizing that to remain relevant, they need to run their internal operations with the same type of efficiency, responsiveness and accountability as the public cloud providers. This necessitates a more comprehensive process for selecting infrastructure than simply comparing up-front costs of similar solutions. Cloud providers ruthlessly evaluate all of their on-going costs to ensure they are maximizing every square meter of datacenter space. Transitioning to ITaaS requires evaluating not only the equipment purchase price, but also expenses such as power, cooling, rack space, support, administration and associated hardware and software requirements. One approach is to boil everything down to a lifecycle cost metric that can be easily applied to competing solutions. I describe a TCO per VM model in a recent Wikibon article. But regardless of how partners present the results, financial modeling on its own is insufficient for optimally determining an organization’s datacenter future. Financial modeling is the hook to capture a prospect’s attention and to guarantee an audience with decision-makers. It is the key for partners to really understand their client’s pain points and objectives. They can then incorporate other vital variables such as risk, expandability, agility, reliability, resiliency, and so on within a framework that will resonate with their customers. Going through this process positions a solutions provider to help its customers begin the datacenter migration process. It also provides the opportunity to incorporate private cloud, active/active datacenters, virtual desktops and other use cases made economically feasible by a hyper-converged infrastructure. Even a compelling Web-scale evaluation can still leave a partner challenged to disrupt existing buying habits, processes and governance policies. But now that EMC has joined VMware and three of the other leading hardware manufacturers in validating hyper-converged infrastructure, it is easier for partners to initiate a conversation around datacenter strategy. The winners in the new software-defined era will be those solutions providers who help their customers understand, select and implement the best architecture for their environments. The losers will be the VARs who continue to push legacy solutions without even bringing the Web-scale options to the table. Cisco changed the datacenter game with UCS – the only server designed from top to bottom for virtualization. Despite widespread skepticism that the networking giant knew nothing about servers and would fail miserably, in less than five years UCS became the number one blade seller in the Americas. In our new compressed disruptive-cycle world, Cisco itself has now fallen far behind when it comes to optimally hosting a virtualized datacenter. The company is, however, scurrying to catch up. Within the past few weeks, it’s been revealed that Cisco both invested in hyper-converged startup, Stratoscale, and also blessed Maxta as the first, and so far only, certified hyper-converged solution to run on Cisco UCS. I’ve been a vocal fan of UCS from the beginning. In late 2009, when “over 100 companies” were using UCS, I wrote a blog post comparing UCS vs. the HP Matrix. While competitors scoffed at UCS as a “one-size-fits-all product”, I maintained that it would revolutionize datacenter virtualization. The dominant server manufacturers of the day were perfectly happy with the status quo. But Cisco realized that virtualization would become the datacenter standard and that a new type of server was required. Cisco initially approached IBM and HP to jointly develop a product, but both companies declined. So Cisco instead funded VMware cofounder, Ed Bugnion, and a team of engineers to spend three years building UCS. UCS helped mitigate virtualization challenges with capabilities such as FCoE (Fibre Channel over Ethernet), hypervisor bypass, extended memory, services profiles and a GUI that can help the server, storage and network teams collaborate more effectively. But UCS’s Achilles heel is that it really only addresses a small part of the virtualized datacenter issues – the compute. By far the majority of the pain in the modern datacenter has to do with storage. Not surprisingly, four storage manufacturers, EMC/VCE, NetApp, Hitachi and Nimble, all incorporate UCS as an integral component of their so-called “converged infrastructure” solutions. Channel partners across the globe, such as the one I worked for, understood that as customers increasingly virtualized their datacenters, they would want the enterprise capabilities and features that UCS offered. These partners worked with Cisco to make UCS the number two blade seller in the world. Ah, but all things must change – especially in a software-defined world. While Cisco was promoting the superiority of custom-designed ASICs, Nutanix was bringing the advantages of commodity-driven web-scale architecture to the enterprise. The impressive innovations that Cisco unveiled over five years ago are now not just obsolete, but superfluous. Fibre Channel over Ethernet (FCoE): Unlike the converged infrastructure offerings built around UCS, FCoE is an example of true convergence of the network stack – melding fibre channel and IP Ethernet networks. But today, Web-scale eliminates the requirement for SANs and switching fabrics entirely. UCS Manager GUI: Lets storage and server teams collaborate more effectively together. Not so useful when separate storage administrators are no longer necessary. Custom ASICs: Cisco boasts 12% increased performance from proprietary hardware. Nice but inconsequential when Moore’s Law doubles performance every 18 months anyway. Nutanix utilizes commodity hardware, but increases performance nonetheless with regular software updates that improve hardware effectiveness. Services profiles and templates: These were great in the day for relatively fast provisioning of ESX hosts. Nutanix Foundation is much faster and doesn’t require zone masking or manual hypervisor installs. Integrating the Cisco Nexus switch: Making the network the management center was key to Cisco gaining traction with its network administrator constituency. But Web-scale eliminates the requirement for complex, intelligent and expensive converged network switches. 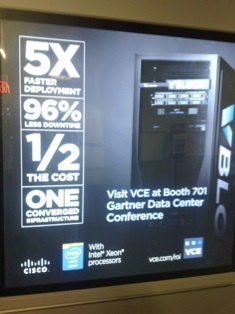 The leading converged infrastructure manufacturer, VCE, proudly advertises that it only takes 45 days to order and put a Vblock into production – 5 X faster than with conventional servers and storage. In contrast, Nutanix can be ordered, received, installed and in production in around five days. Upgrading VMware vSphere requires a corresponding upgrade to the entire Vblock – a process that can easily require a team of consultants several days to accomplish. And even then there are risks involved. A former Vblock customer that recently migrated to Nutanix was still running three versions back of vSphere because they didn’t want to have to deal with the associated Vblock upgrade. Contrast all of this time, expense and risk with doing a vSphere (or Hyper-V or KVM) upgrade on Nutanix. The process is literally just a single click. No cost, no downtime and no risk. UCS and Nutanix both target the same customers – virtualized enterprise environments. I’ve heard from multiple partners that despite our relatively tiny size, Cisco has declared Nutanix to be its number one competitor. Not HP. Not VMware. Nutanix. Cisco’s announcements around Maxta and Stratoscale reflect its determination to, albeit belatedly, get into the game. Cisco is one of the most successful and well-run companies of all time. While known for its innovations in areas such as routing, switching, VoIP and collaboration – perhaps nothing has been as impressive as Cisco’s accomplishment in the datacenter. Cisco upended all of the existing dominant server players by developing UCS to fulfill the computing requirements of the virtualized datacenter. The lesson here for Nutanix is that if Cisco can fall into complacency, anyone can. We’ve got to keep our heads down, be humble, stay hungry and keep innovating – even if we have to eventually disrupt our own technologies. Cisco, VMware, Nutanix, Dell and HP, in addition to the other EVO:Rail partners and lots of startups, validate that hyper-converged infrastructure/web-scale is the future of the virtualized datacenter. There’s a $50 billion + annual server and storage market out there just begging to be disrupted by those channel partners with both the vision and the desire to execute. Thanks to @vmmike130, @langonej, @evolvingneurons and to @richardarsenian for input. When a channel partner looks in the mirror, does a trusted advisor look back? In my former position as VP of Cloud and Virtualization at Presidio, I frequently used financial modeling to assist our reps, but did not drive sales on my own. That changed after I learned about Nutanix. I loved the no-SAN concept and was curious to see how it would actually play in Peoria. I pitched a savvy CIO who had participated in an EDUCAUSE panel I moderated, and she was immediately intrigued. But the Chicago office of Presidio was reluctant to work with a new manufacturer. I just made the sale myself and convinced another region with which I had stronger ties to process the paperwork. The experience should have tipped me off as to the type of situation I would face in my dual channel and strategic sales role at Nutanix. While it’s been surprisingly easy to sell web-scale converged infrastructure to former clients who have called me or vice-e-versa (always running the deals through partners of course), it’s often difficult to get buy-in from VARs – especially from large ones. I had dinner a few days ago with the VP of Sales of a sizable regional VAR. He asked me how much business our top partner would do with us this year. I told him that one organization had a plan in place to sell $50M in our new fiscal year, though internally we pared it down to be conservative. The VP told me that his company will do $90M this year with EMC alone. As enamored as he and his team were with our technology, I could tell he was thinking about how he could realistically present it internally. Even matching the sales of Nutanix’s largest partner wouldn’t come anywhere near the business he’s driving with EMC and Cisco. How could he convince his executive team that they should risk the wrath of their two largest vendors by promoting Nutanix? And, suppose he did manage to persuade the executive team to go all in with web-scale; they still would have to get their sales reps on-board. The reps have established relationships with legacy manufacturers, are trained and experienced in selling their products and depend upon them for opportunities. These “coin-operated” reps do not readily gravitate toward promoting new technologies. If I were a CIO, I would not want a solutions provider who simply brought me different product configurations from a leading datacenter manufacturer – I could find that information myself on the Web. I’d want to work with a partner who was diligent enough to constantly investigate new promising technologies, and who was astute enough to discern which ones could have a positive impact on my organization. I’d expect the partner to bring those options and his recommendations to me for review. VARs that close-mindedly mimic their vendor perspectives risk becoming, in the eyes of customers, glorified manufacturer reps. An EMC partner, for example, might feel confident today in leveraging a trusted relationship with a CIO to advocate Vblock as the best option for a VDI deployment. But the probability is increasing that the CIO will learn on her own that she could have implemented a similar project at a fraction of the cost and with none of the risk by utilizing web-scale. She will consequently feel her partner is either uninformed or, worse, acting in EMC’s rather than in her best interest. Channel partners tell me that large enterprises move very slowly – the implication being that they have plenty of time to continue making lots of money by promoting legacy 3-tier infrastructure. Perhaps they’re correct, but it’s a dangerous way to conduct business. Henry Ford famously said, “If I had asked people what they wanted, they would have said faster horses.” Just because a customer asks for more storage doesn’t mean a solutions provider should limit the conversation to arrays. They can take the opportunity to educate their client about how Google and the leading cloud providers have moved away from using SANs and ancient (1987) RAID technology. They can discuss the advantages of web-scale converged infrastructure and about whether or not the architecture might be appropriate for the customer’s environment. Even if the customer decides, for whatever reason, to go with traditional 3-tier infrastructure, at least the channel partner looked out for the customer’s best interest. Over time, as web-scale/hyper-converged infrastructure becomes the virtualized datacenter standard, the customer will appreciate the effort and integrity of the partner for introducing it. I don’t agree with the premise that big enterprises will continue to move slowly. External pressures from public cloud and internal pressures from much more rapidly changing technologies will force enterprises to change more quickly as well. Just look at web-scale. Almost overnight it has jumped solidly into the mainstream. VMware’s endorsement of hyper-converged infrastructure as the platform of choice for hosting virtual machines leaves no doubt as to the future direction of virtualized datacenter architecture. Then there’s Dell – one of the “big seven” who collectively drive 76% ($56B) of the annual server and storage business. Dell also blessed hyper-converged architecture last week with its launch of the Dell XC Series: Web-scale Converged Appliances. Yet another of the “big seven”, EMC, has said it will develop its own EVO:Rail offering. Even HP is weighing in both with an EVO:Rail solution and with its own StoreVirtual product. Cisco is showing signs of making the leap as well.This massive validation during the past few months by the leading datacenter players enables solution providers to bring up web-scale without concern of appearing “bleeding edge”. It also means that they should, with at least some degree of impunity, be able to focus on hyper-converged solutions by creating a separate division explicitly for this purpose. However they do it, I strongly encourage channel partners to figure out a way to get engaged with web-scale. Nutanix continues, and is even accelerating, our trajectory as the fastest-growing infrastructure company of the past decade. This provides an extraordinary opportunity for forward-thinking partners to grow along with us. Two good articles were published today. The first, from ZD Net, is titled, Enterprise tech vendors: Sizing up the next gen field. The article talks about the upcoming reshuffling of the enterprise stack. 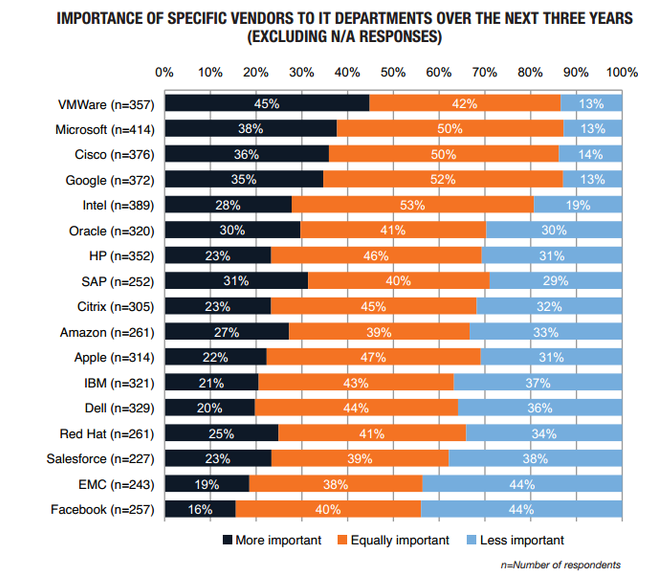 While tech buyers named VMware, Cisco and Microsoft as the three most important vendors over the next three years, EMC was ranked second to last. The second article worth reading is Top technological trends hitting the datacenter soon in SearchDataCenter. Slide #3 is titled, “Web-scale IT evolves data centers”. While the slide disappointingly doesn’t discuss web-scale converged infrastructure, it does highlight the importance of adopting cloud-like technologies to the datacenter. Microsoft has MVP, Citrix – CTP, Cisco – Cisco Champions, VMware – vExpert, EMC – Elect, and so on. Nutanix has just launched its Nutanix Technical Champion (NTC) program and applications are being accepted until November 15. I was a Microsoft MVP for four years and have been a VMware vExpert since the beginning – for the past six years. I find these types of programs to be incredibly valuable. Benefits typically include things such as access to pre-release product information, special events, direct access to manufacturer top executives, speaking engagements and other publicity, etc. Most importantly, these programs offer an opportunity to get to meet and interact with like-minded peers. The exchange of information that tends to take place can be very beneficial both for one’s company and for her/his own career path. Nutanix is the fastest-growing infrastructure company of the past decade, and its web-scale technology is disrupting the datacenter status-quo in a manner comparable to what VMware did with virtualization ten years ago. Channel partner technical folks have a great opportunity to get in on the ground floor of the NTC, and to help revolutionize the way that datcenters are built and operate. The waves of disruption are starting to break. Several magazines (see Sources) reported today that EMC is folding VCE into its business and buying out most of Cisco’s stake. Assuming this is true (EMC is having a big announcement tomorrow morning), it is another huge indicator of the massive datacenter disruption that’s coming. While I think that EMC will certainly still promote Vblocks, it’s hard to imagine that they’ll do so as enthusiastically as they did in conjunction with VCE. VCE has been on a $1.8 billion run rate. Vblock partners tend to love the product because they make a lot of money from selling, installing and upgrading it. One VCE partner told me that every time VMware upgrades vSphere, customers have to upgrade their Vblocks. This is a laborious process often requiring a team of consultants working up to three days to accomplish. It translates to great services business. I have to admit, I was surprised at how well VCE has done during the past five years. When I initially heard about Acadia (as VCE was initially called), I thought that there was no way this product was going to sell. The idea of getting the server, storage and networking folks to all come together at the same time and agree upon a common platform purchase seemed to be an insurmountable challenge. A year later I was still somewhat skeptical. I even wrote a blog post about the sales incentive problems with misaligned quarter endings. But I misjudged the desperation many IT staffs felt as they increasingly virtualized their datacenters. They faced huge challenges in deployment time, finger pointing between server and storage manufacturers, and in functional group collaboration. The topnotch salespeople from VCE, along with channel partner support, convinced many of them that “the world’s most advanced converged infrastructure” was an answer to their struggles. Working for a channel partner that moved a whole a lot of both Cisco UCS and EMC, I jumped on the Vblock bandwagon and helped facilitate a fair number of sales utilizing ROI analysis. But I always felt that there had to be a more elegant solution to the challenges of hosting a virtualized datacenter than simply integrating separate products as a single SKU. Once I learned about the Nutanix web-scale architecture, I became convinced that this was a vastly superior alternative. It will be interesting to see how Vblock partners fare without the huge VCE focus and assistance. 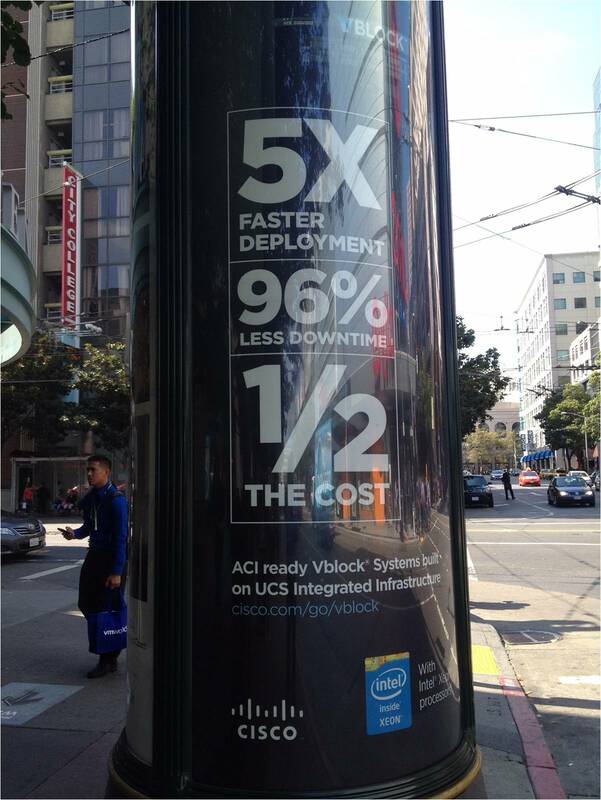 On the plus side, it’s almost a certainty that they’ll no longer have to promote Cisco’s ACI over VMware’s NSX. On the negative, they can say goodbye to the monetary incentives from the recently established joint channel program between EMC and Cisco. Not surprisingly, I’d like to see more Vblock partners get on board with web-scale. In my opinion, selling Vblocks in comparison to selling Nutanix is like pushing rope. Even some die-hard very large Vblock customers have now started migrating to web-scale. Cisco Said to be Selling Most of VCE Stake to EMC. 10/22/2014. Bob Brown. Computerworld. Report: EMC to Take a Bigger Role in VCE as Cisco Reduces Stake. 10/21/2014. Barb Darrow. Gigamom. The End of Pretend? Cisco Looks to Partially Exit VCE Joint Venture. 10/21/2014. Ben Kepes. Forbes. EMC Said to Absorb VCE Joint Venture as Cisco Reduces Stake. 10/21/2014. Dina Bass & Peter Burrows. Bloomberg. Tech Titans Unite for Private Cloud Push. 11/05/2009. Jennifer Kavur. IT World Canada.